Lush green lawn surrounds our beautiful pool. You may take advantage of all The Vista has to offer before you check in and after your check out. You are more than welcome to swim in the pool and enjoy the beautiful views. You may also park and go to the beach, or get a voucher for beach parking. After the beach, come back and swim and change in our poolside changing room. Drive home in sand and salt-free comfort! We began serving iced tea and brownies in the afternoon. Our guest love it! Mmmm…brownies! 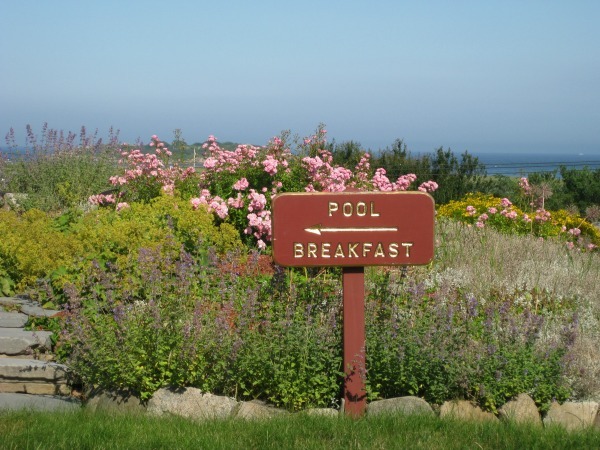 Our pool has fabulous views of Good Harbor Beach. There’s a new sidewalk to Good Harbor Beach ~ Now you can safely walk from The Vista to the public parking lot in less than 10 minutes! Check in 2 p.m., Check out 11 a.m.
Rates are based on double occupancy and do not include 11.7% state and local lodging tax. Each additional person please add $10 per night. Rollaway beds are available at nominal fee. Children under 10 stay free! Dogs are permitted in designated first-floor efficiencies. Certain fees and restrictions apply. You may not leave the dog unattended in the room at any time even in a crate. A 2-night minimum stay is required on weekends, Memorial Day through Halloween, and a 3-night minimum on selected holiday weekends. 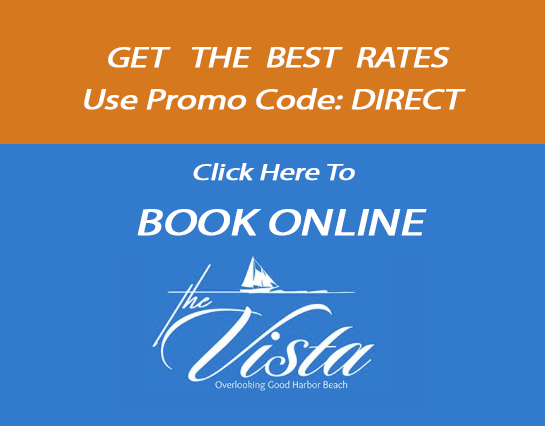 All rooms at the Vista are smoke free and smoking is not allowed on any patios or balconies. Please Note: We cannot accommodate any groups taking more than three rooms. This includes group members that book individually. This ensures the quiet enjoyment of The Vista for all of our guests. A one-night advance payment is required to guarantee your reservation.This deposit is refundable less a $6.50 processing fee as long as you call to cancel more than seven days prior to your first nights stay. Should you cancel within the seven-day period we will make every effort to resell your room; however, you may be required to forfeit your full deposit. 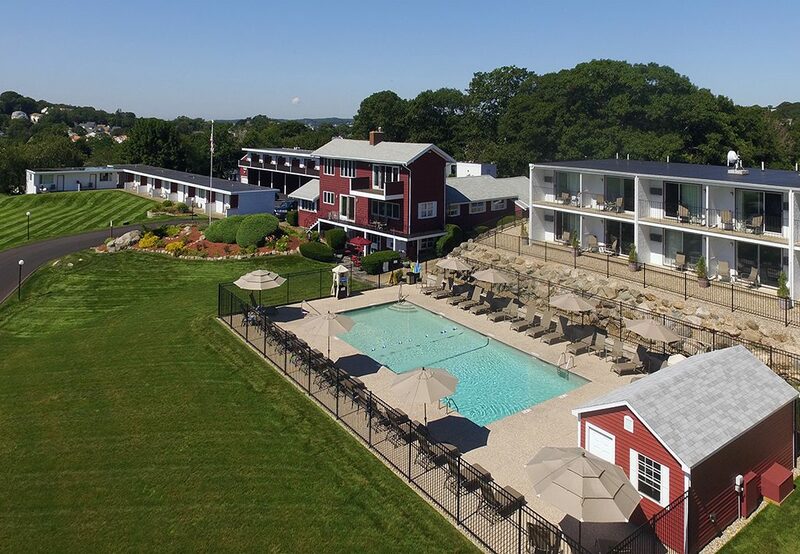 Cancellations within seven days of your first night’s stay are subject to a $25 cancellation fee and the remainder of your deposit will be returned to you. We accept VISA, MasterCard, America Express, Diners Club and Discover. To make a reservation please call 978-281-3410 or use our new online booking engine!